For long-term sustainability, emerging initiatives need to eventually work themselves into the fabric of the institution. Sometimes this happens quickly and with little angst. Other times, it requires great patience, complex analysis, and difficult decisions. It will be an evolutionary process shaped and altered by individual/collective strengths, current/new leadership, institutional culture, campus infrastructure, local constraints, and many changing institutional and national landscapes. Bringing about institutional change requires broad collaboration, careful attention to available data, knowledge of existing and potential resources, and transparent linking to institutional mission and existing/emerging strategic plans. Whatever the process, it is important to keep the ultimate goal in mind—enhanced student learning. 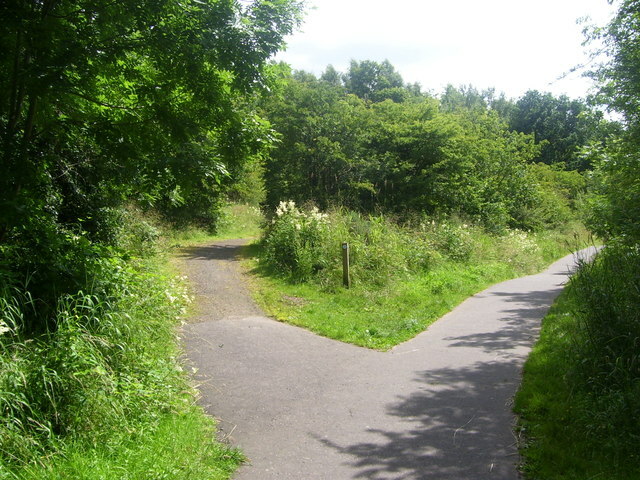 Pathways within Strathclyde Country Park, near the Roman Fort. Taking a strategic approach to institutional change is vital. A careful assessment of institutional resources, in the context of the institution's history, programs, and objectives, will inform and guide change. In addition, take a strategic approach to planning your efforts looking toward the need to build alliances, garner resources, and create excitement about the planned efforts. Successful projects require dynamic leadership, top-level institutional buy-in, and engaged stakeholders willing to collaborate effectively toward the project's common goal or goals. Teams should plan the project details and take full ownership of solving problems as they occur, bringing in colleagues from other departments early and often to review and refine the plan. A wide variety of resources—including financial support, faculty expertise and time, and administrative support—must be in place for an institution to develop and implement programs that are sustainable over the long term. Data analysis helps stakeholders understand the problem, illuminate issues that are not fully understood, mobilize proponents, neutralize skeptics who deny a problem exists, and refine project goals. Fry, C.L (Ed.) (2014). Achieving Systemic Change: A Sourcebook for Advancing and Funding Undergraduate STEM Education. The Coalition for Reform of Undergraduate STEM Education. Washington, D.C.: Association of American Colleges and Universities. Keck/PKAL Guide to Systemic Institutional Change in STEM Education - The purpose of this work was "to develop a comprehensive, institutional model to help campus leaders plan and implement evidence-based reforms geared toward improving student learning and success in STEM" that would lead to program, departmental, and institutional transformation.